Sam curled up and slept on my lap as I watched a documentary about the Druid wolf pack in Yellowstone. He woke when they showed some noisy ravens on a wolf kill and stood transfixed before the television, something I’ve not seen from him before. Suddenly wolves dashed across the screen and he jumped up and swatted madly at them. His claws were retracted so I let him have his fun attacking wolves and coyotes and elk and bison and all the animals of that great land. Finally, exhausted from the hunt, he settled back down to sleep on my legs. The documentary didn’t flinch from the brutality of the wolves to other animals and neighboring wolf packs, but even so, I hope for their sake they never have to face my little hunter. Particularly if I were to let slip the lie that they’re the reason he has to get his flea treatments. These pictures are the first I’ve taken using the live view on the back of the camera instead of the optical viewfinder, something I can’t do with my older cameras. 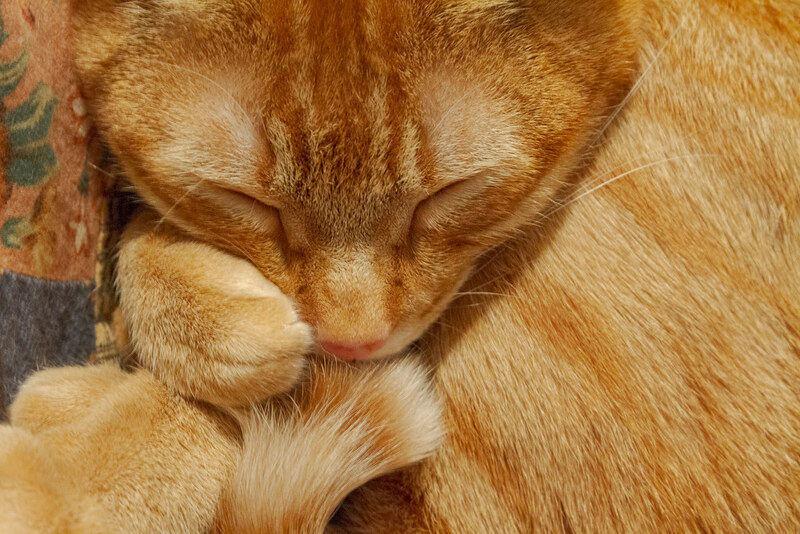 The live view allowed me to lower the camera to his eye level as he slept on my legs and get a much more intimate portrait. 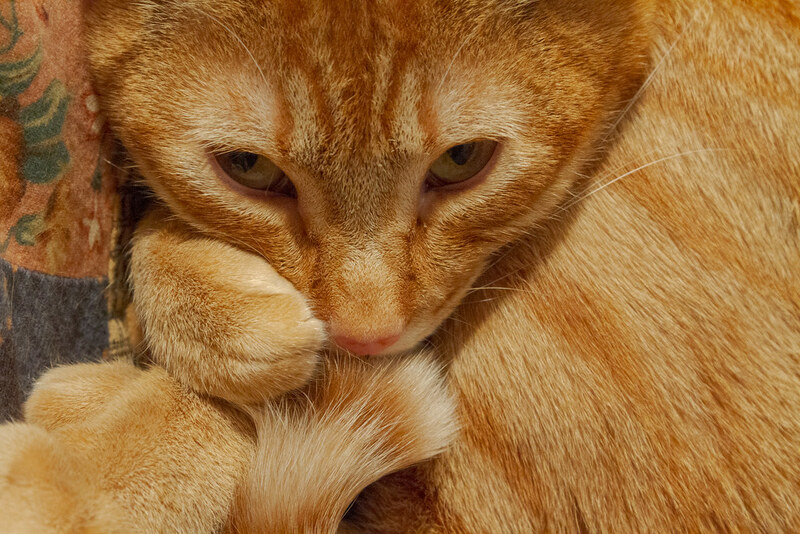 This entry was posted in Pets and tagged blanket, Canon EOS 7D, cat, orange tabby, Sam, sleeping, snuggling. Bookmark the permalink. Live view! Now you’re just showing off! !